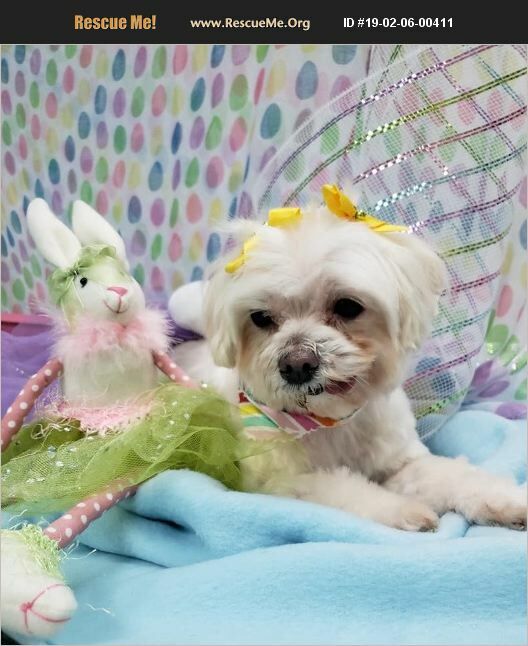 Florida Maltese Rescue View other Maltese Dogs for adoption. This shy little girl is Karlee. She is a Maltese who weighs just over 8 pounds and is 10 years old. We aren't sure exactly how old as she has already lost all her teeth due to poor care in her previous situation. She came to us from a hoarder and was not well cared for so she is long overdue some serious TLC. Thankfully, despite her neglect, she is Heartworm negative but she does have a small heart murmur. She doesn't currently need medication for her condition and it doesn't seem to have any significant impact on her energy level or general well being. It does cause her to cough when she exerts herself too much though, so just something to watch. She was recently adopted but was returned because of her coughing as they thought it was something else. Karlee gets on fine with the other dogs in the foster home and we have caught her sleeping with two of them when she thinks nobody is watching! We take this as a good sign that she will become more and more confident as time goes by. She was very fearful of her new situation when she first came to her foster home but she has settled down a lot since then. Given that she is skittish and shy initially, she would not be good around very small children and would need some supervision otherwise until she is relaxed and settled in her new home. A fenced in yard is recommended as with her being so skittish, she could easily be startled and run away until she gets to know you. She is almost fully housebroken and will use a training pad in the house if she needs to go when you are out. She is on a regular schedule to go outside every couple of hours otherwise. We do not recommend crating her as she is so skittish and generally fearful. If she is left in the house for any reason she usually stays in her bed and sleeps by herself until you return. She now sleeps in the big bed with the rest of the pack and has adopted her own pillow to sleep on! She would be fine in a home with another dog as long as it was very laid back and gentle. Karlee is an affectionate dog once she is used to you and, once she feels safe with you and knows her surroundings, she will follow you around the house. She likes to be held or to sit in your lap and be petted. She hasn't shown any interest in playing with the other dogs in the foster home but she is companionable with them. They are all older dogs and so is she. Perhaps their crazy playing days are over and, much like us, they all enjoy a nap in the afternoon as they get older! Karlee has not had an easy life until now. She has earned her time to come with a loving family who will care for her unconditionally as she enjoys her first experience as somebody's beloved pet. Will you be her companion to help her she navigate her way through her golden years?